Have you decided to research your audience more deeply using social media? Statistics show that 14 percent of Americans change their mind about an issue because of something they saw on social media. You’ll need to convince an audience to purchase your products or services. 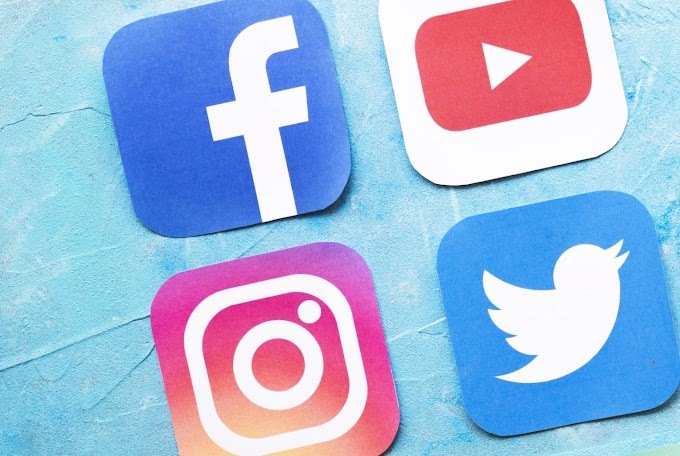 Before you start trying to create a strong presence for your brand on social platforms, you should conduct research to come up with an appropriate strategy. Be specific when establishing the goals you want to achieve. It takes time to generate traffic and increase sales on social media. Relationship building on social media is key. Here’s how to get the most out of your audience research on social media. First, let’s talk about entering social media channels for commercial purposes. You may have already identified the primary characteristics of your potential customers to determine your audience. For large brands operating globally, the number of potential customers could reach thousands and even millions of people. However, coming up with a perfect content piece that will resonate with everyone in your vast target audience is pretty much an impossible task. Targeting too broad an audience can eventually leave you with a small percentage of converted leads. Creating a buyer persona remains a significant part of any marketing strategy because people are diverse. Therefore, you need to take a more personal approach to win their attention. If your business is big, consider dividing your audience into smaller groups. Build a buyer persona profile for each of them. Although this requires more time and work, in the end you’ll see better engagement from your users. Create buyer persona profiles to simplify the process, and to save time for generating your own ideas and tactics. While creating your buyer persona profile, you should also include a few notes regarding your ideal customer’s social media preferences. 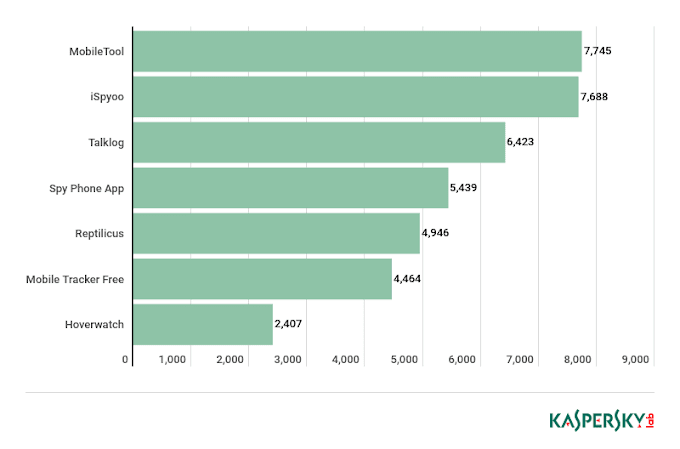 Sprout Social has already analyzed 289,000 active public social profiles (139,000 on Facebook, 115,000 on Twitter, and 35,000 on Instagram) to determine how users react to brand presence on various platforms. Their report provides excellent food for thought. 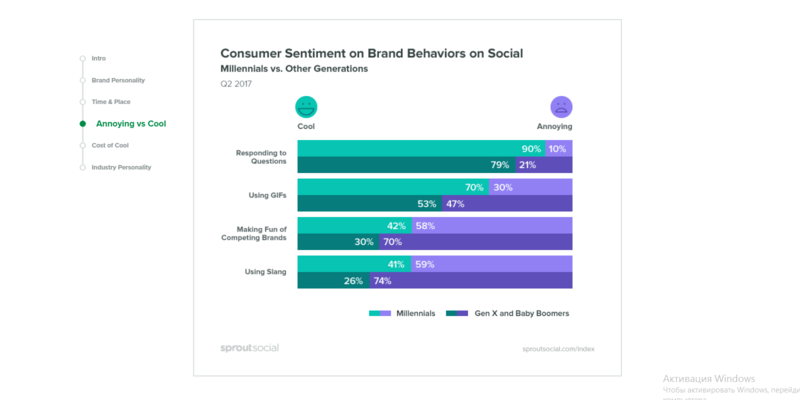 For instance, the screenshot below shows the differences in how Millennials, Baby Boomers, and Gen Xers react to brand behavior on social media channels. Analyzing research data is a great way to discover where you have room for marketing experiments, and where you should play it safe. Generally, each social media platform has an easy-to-use search option for finding your target audience (e.g., Twitter’s Advanced Search, LinkedIn lets you search by names, keywords, email addresses, and more). Facebook’s Business Manager is another great tool for estimating the size of the preferred audience on Facebook. It allows you to conduct quick market research. Just select several key factors (e.g., gender, state or city, main interest), to see how large your audience is. For example, if you want to reach women in New York between the ages of 20 to 50 who love salted chocolate cookies, Facebook Business Manager will tell you that 60,000 users match your criteria. Now you’re ready to start working with the chosen audience to nurture leads. Another option is to begin by targeting a narrower niche, testing various marketing strategies, and gradually showing your content to a broader audience. Don’t be discouraged if your target audience seems too small. Consider changing your offers to expand the audience. You should also consider social media tools that allow you to manage multiple platforms in one place. For example, Hootsuite integrates with Facebook, Instagram, Twitter, LinkedIn, YouTube, and more. Engaging your audience with attractive offers and unique and surprising content is the perfect way to gain their brand loyalty. Unfortunately, it’s difficult to generate outstanding ideas on a consistent basis. If you don’t know what to write about or how to entertain your followers, just ask them. Once the audience is segmented, you can start researching them more deeply by using appropriate surveys for each audience category. Include questions that will be interesting to your audience. A survey should take no more than two or three minutes. Three to five questions are enough. If you need to ask more questions, let users know the survey will take more than five minutes. Keep at least a couple of questions open, to let people say what they think. Users enjoy participating in surveys because it makes them feel like their opinions matter. It is nice to know that someone else values your opinion, and is giving you an opportunity to express your ideas, suggestions, and complaints. Worried your survey will be ignored? Make participation more attractive. You can offer a special bonus, a small discount, or a gift if a user buys your products. Offer a brand sticker pack, free access to a webinar recording, a funny GIF image, or a warm thank-you note. 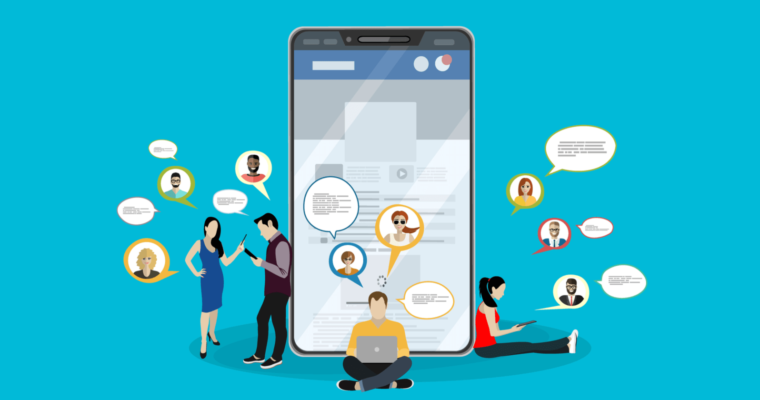 Despite the exponential growth of top social messaging apps like WhatsApp, Telegram, Messenger, Viber, and WeChat, marketing specialists are in no hurry to experiment with these platforms. This seems to be a huge opportunity to start working in the messaging space before the field becomes overcrowded. The sooner you start, the harder it will be for competitors to get ahead of you. Users will appreciate having quick access to the brand to ask questions, purchase goods and services, complain, etc. You can also increase engagement and boost your social media performance using chatbots. They are fast, easy to use, and gather data for you to further analyze. Collect frequently asked questions and use them to prepare special Q&A sheets. Ask people about their experience after interacting with a chatbot, and fix the pain points. Consider adding funny answers to engage your audience. Make several screenshots of hilarious conversations and post them to engage users. Chatbots are available on Telegram, Viber, and Twitter, and you can build a free Facebook Messenger Chatbot yourself. Once you have received and analyzed your survey results, it’s time to leverage that knowledge to build a stronger brand presence on social media. Robust content isn’t enough to get people to follow you. You need to prepare a well thought out content plan and social media calendar, including posts for holidays, sales, special offers, and other events. Analyzing the time of day users are most active and scheduling posts accordingly is a must. However, brands should be ready to answer users’ questions at any time of day, to ensure a constant presence. Promoting your business on social media is never a straight road because platforms and user trends are ever-changing. Sometimes you need to test new marketing strategies and experiment with content to move forward. Step by step, you will get the hang of how it works, and each new marketing campaign will be more successful. Engage users with funny and surprising facts about your brand or industry-related topics. Ask questions in your posts to encourage users to leave comments. Make great quotes visual. People pay more attention to pictures. They will only read the whole post if they are intrigued by the image. Don’t be too salesy. Represent your brand by being informative, helpful and educational. Let people make decisions thoughtfully instead of pressuring them. Get personal. Show the backstage of your business: post team photos, tell real stories from your workplace, make videos of the workflow process.